Investigators today asked for the public’s help in identifying a man who was allegedly involved in an aggravated battery at the Sheridan Red Line station on July 8. 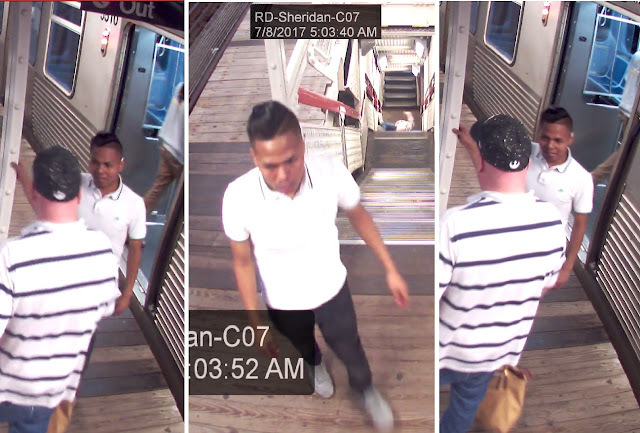 Police said the unknown Asian man pushed a 49-year-old man down a flight of stairs at the station and repeatedly kicked the victim in the head. The suspect is seen talking with the victim at the top of the flight of stairs in two photos released today. 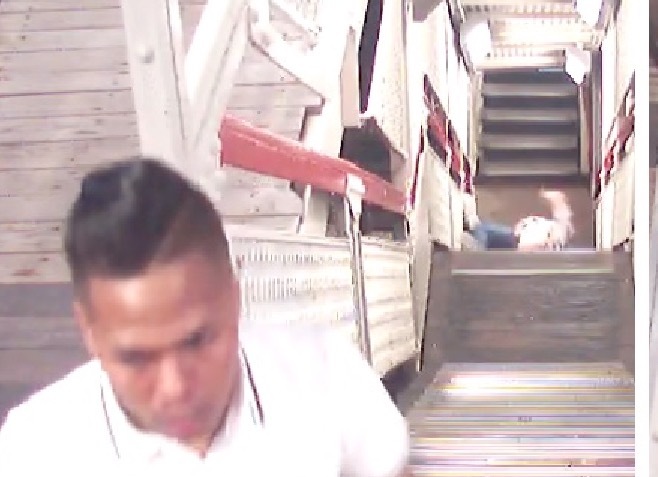 A third image shows the victim lying at the bottom of the staircase after being pushed. The victim suffered a broken pelvis, a broken orbital socket, and multiple bruises and abrasions in the attack, which played out just after 5 a.m., police said. Detectives said the suspect boarded the train at the Thorndale station and exited at Sheridan moments before the attack. They described as Filipino, 25-35 years old, 5'03”-5’07” tall, and weighing 130-160 pounds. He had short brown hair and was wearing a white polo shirt with a dark stripe on the collar, dark pants and gray shoes. Anyone with information about the man is asked to contact Area North Detectives at (312)744-8261 about case JA-339275.